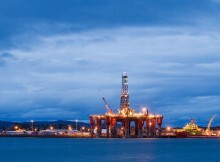 ABERDEEN – The trade union Unite has warned that spending cuts and job losses in oil could prompt another disaster on the scale of Piper Alpha’s, which led to the death of 167 people in 1988. Tumbling oil prices in the last few weeks have led to a series of cuts in the sector, with energy consultant Wood Mackenzie estimating $170bn (£113bn) worth of cuts will be needed to maintain debt levels. BP, Talisman Sinopec and ConocoPhillips have all announced job cuts in their North Sea facilities, and Shell has also cut spending despite saying that the industry should not overreact to the falling oil prices. Speaking at a summit in Aberdeen, John Taylor, regional officer at Unite, said: “The rush by firms to cut jobs and reduce costs is placing enormous pressure on the remaining workforce, and is harming the industry’s reputation. The accident on Piper Alpha, an oil platform in the North Sea, prompted a two-year inquiry and an overhaul of safety procedures involved in the offshore harvesting of oil. Despite this Unite has criticised the industry for not setting aside money during the good times for the downturn, and has called for the government to intervene. “The oil industry employs around 450,000 people across the UK with around 130,000 employed in Scotland, and has contributed greatly to the national wealth for generations,” Taylor said. He added that a shift in the work pattern to three weeks on then three weeks off was “taking its toll on workers”, and that cost cutting was not consistent with maximum safety.